Entered Apprentice is named for the entry-level tier of the medieval craft guilds (as the Masonic Cigars series ranges from Apprentice (mild body), to Fellow Craft (medium body), and finishes with Master Mason (full body)). 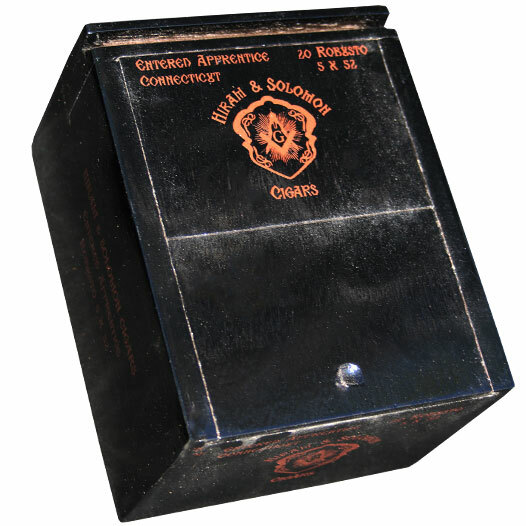 Entered Apprentice receives its mild to medium body from a silky Connecticut Shade wrapper, as well as a Connecticut binder—a style not seen in many cigars. The filler is rounded out with a multi-national blend of Nicaraguan (Ometepe Habano), Pennsylvanian, and Paraguayan long fillers. This produces a soft and easy going smoking experience that is perfect for morning or other mellow smoking sessions. Flavors range from white pepper and green tea, to milk, honey, and natural oats.